Héctor Mingues started to play in 1999 as an amateur thanks to the music he used to listen at home since he was a boy. He gradually went on enriching his musical taste, and thus developping his most refined talents, moving towards the most intimate side of the black music. In 2000 he had his first close contact with the public, playing in small locals and private parties. In 2001 he moved to Madrid where he started to work in Carbones. This respected DJ and vinyl records collector from the Spanish capital always seeks out the desired record for his collection in stores from all over the 5 contients. He has also worked in Barcelona and outside Spain in the USA, France, Italy and Germany. 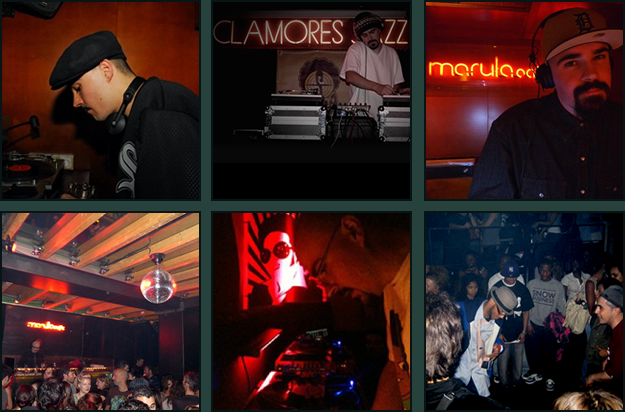 From 2006 resident musician in black music classic club, Marula Café (Madrid), where artists such as S.U.M.O, Quantic, Nickodemus, Florian Keller, Kon & Amir, Nik Weston, Keb Darge, Rainer Truby made the public enjoy till the end on the dance floor with their sessions. Tambien en cabinas de Barcelona y fuera del país en Estados Unidos, Francia, Italia y Alemania.